At the Note7 event, Samsung unveiled the Samsung Cloud and this is the first phone to support it. Basically, you get 15GB of cloud storage dedicated to backups. The TouchWiz software can natively stash away Contacts, Calendar events, S Pen creations from Samsung Note and some other things into the cloud. Photos, videos and stories from the gallery are saved too (though 15GB might be a tight fit if you shoot a lot of 4K video). Browser tabs (for the Internet app, not Chrome) are synced too. You can selectively force particular content to be synced over Wi-Fi only. For instance, small calendar notes can always be up to date, but big gallery files will not eat up your data allowance. Note that Samsung Cloud isn't (yet) a competitor to Dropbox or Google Drive. It's focused on backups, and there's no option just to lob a random file in there and share it with other devices/people. The Game Launcher shows just how serious Samsung is about dominating the mobile gaming market. It groups all your games in one place, so they don't get lost in the busy app drawer. But that's just convenience, the Game Launcher has some life-saving features. You can disable notifications during a game and lock the App switcher and Back keys - no more interruptions or exiting a game by accident at the wrong moment! This is done through the Game Tools key, a small floating virtual key you can position pretty much anywhere on the screen. Once tapped, it reveals a menu very similar to the Air Command for the S Pen. These days, many people watch others (streamers) play games. The Galaxy Note7 can't livestream gameplay, but it can record it for you. And it can add the video feed from the selfie camera, as is standard on Twitch and other places where game playthroughs are shared. Naturally, it can record your commentary through the microphone too (or you can disable both features if you prefer). The Game Launcher also offers Top Charts and Featured Videos tabs, where you can check game stats, and find gameplay videos based on what you have installed. VR games are a hot selling point right now and in some regions (Europe but not the US) early Note7 buyers can get a free Gear VR headset. It's the redesigned one that is compatible with older devices as well (Galaxy S6 and S7, Note5). 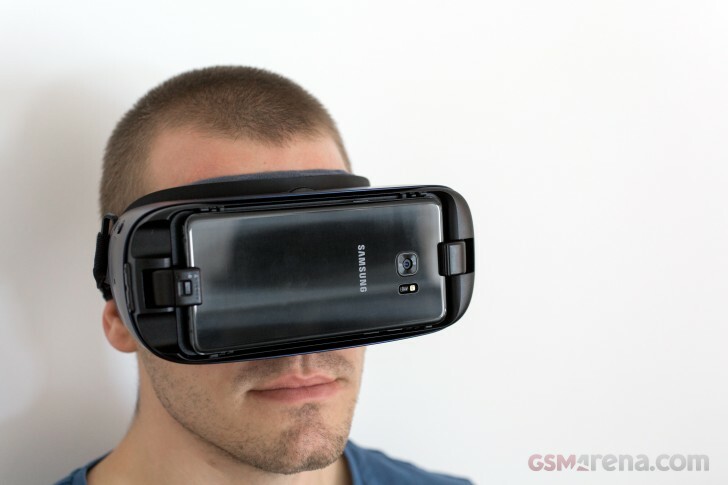 We have a detailed hands-on with the headset where we cover the mobile VR experience.